The Guardians Will Save the Galaxy and Your Toy Collection! cool, just like the other GotG items you'll discover at Entertainment Earth. Based on the Marvel Comics superhero team of the same name, 2014's blockbuster film and its 2017 sequel have generated an awesome mix of Guardians of the Galaxy toys and collectibles to choose from… and here they are! There's a galaxy to be saved, and only these Guardians of the Galaxy action figures can save it! Well, maybe we're exaggerating just a little, but they sure are cool, just like the other GotG items you'll discover at Entertainment Earth. 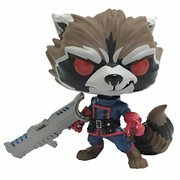 Based on the Marvel Comics superhero team of the same name, 2014's blockbuster film and its 2017 sequel have generated an awesome mix of Guardians of the Galaxy toys and collectibles to choose from… and here they are! If you're "hooked on a feelin'" and can't get enough Star-Lord Peter Quill, Gamora, Drax, Rocket, Groot, Nebula, Ego, Yondu Udonta, Kraglin, and Mantis, you've arrived at the right planet - Entertainment Earth. So, you'd better take a good close look at these Guardians of the Galaxy toys and other fun stuff. 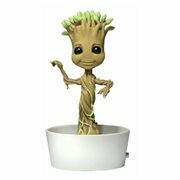 Why, we've got all sorts of terrestrial and extraterrestrial treats that will resonate with your passion, like vinyl figures, plush, tin totes, prop replicas, key chains, masks, mugs, wall art, backpacks, decals, and just about anything you can imagine in the way of Guardians and Guardians of the Galaxy 2 merchandise. You Can Have Oodles of Fun as a Guardians Collector! Why should the Guardians have all the fun? 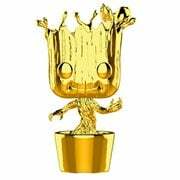 In keeping with the tongue-in-cheek tone of this sci-fi superhero series, many GotG fanatics have turned their attention to the lighter side of collecting, choosing to pursue such chucklesome items as Guardians of the Galaxy bobbleheads. Does that sound kind of like you or someone you know? If so, you owe it to yourself to look into the rather large assortment of not-so-serious products available in the marketplace these days. 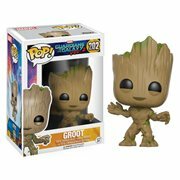 For instance, you'll probably get a big kick out of the array of cute-as-can-be Guardians of the Galaxy: Vol 2 Funko Pop! vinyl figures to be had on the web pages of Entertainment Earth. But the fun doesn't end there. The manufacturers of such playful products have come out with other means of tickling your fancy. It doesn't get much more entertaining than gathering the family around the kitchen table to watch your very own GotG: Vol. 2 dancing baby Groot rock the night away. Ah, life is good after all! Enjoy the Guardians Your Way. What if you really aren't into the humorous items discussed above? What if your preferences lie more in the direction of long-term collectibles with lasting value? Well, Entertainment Earth has you covered there, too. 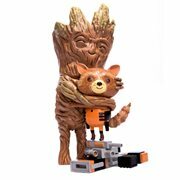 Check out our Guardians of the Galaxy statues and see what you can find that satisfies your sophisticated sense for items that will carry their worth far into the future. Perhaps a film cell or two, or maybe an authentic prop replica from one of the films will meet your needs. Take a look! There's a Lot of Guardians of the Galaxy Memorabilia to Choose From! As you can see from the above and the hundreds of items we offer to make your and yours' lives more enjoyable, there are plenty of goodies to choose from for gifting or adding to your own awesome mix of collectibles. 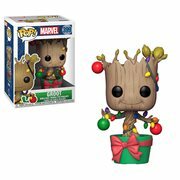 You might agree that the breadth of Entertainment Earth Guardians of the Galaxy offerings includes something for everyone on your list… and for you!